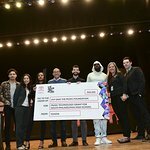 Musician Ferras presented $300,000 to the city of Philidelphia earlier this month, a donation from VH1’s Save The Music Foundation. The money will be put toward the city’s public school music programs. 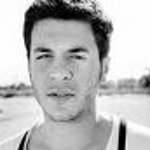 Effective in developing balanced cognitive skills in children, the Foundation sites critical thinking, self discipline, self-esteem, math, reading and spatial reasoning as benefiting from music programs, as well as improved school attendance and a lower incidence of involvement with gangs and drugs. In its 11 years of existence, Save the Music Foundation has contributed nearly $40 million worth of instruments to public schools in the US.